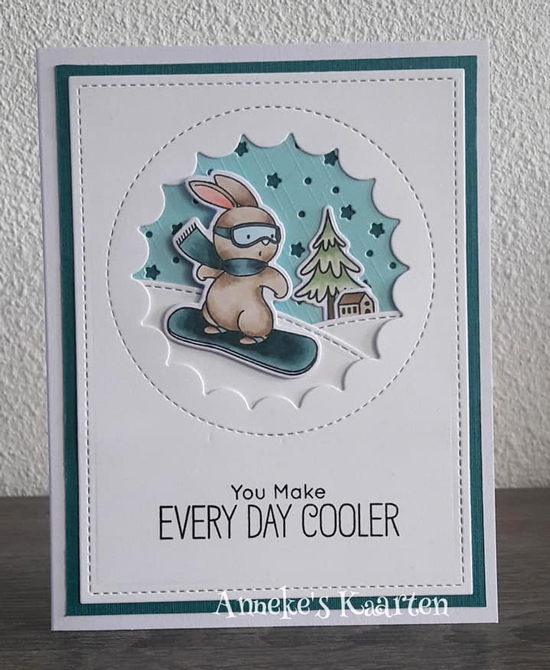 Anneke created a framed winter scene featuring the adorable snow-boarding rabbit from the new Ready, Set, Snow stamp set. We love the layered elements she added to the landscape to really bring the scene to life! 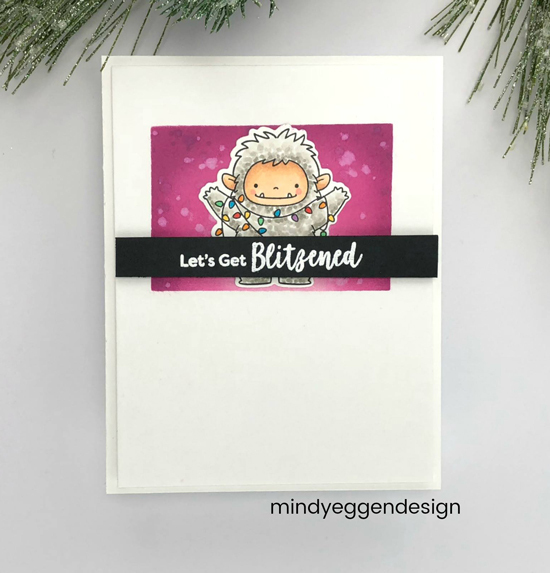 An adorable yeti adorned with Christmas lights perfectly complements the sassy greeting that Mindy added to her design. The bright pink background adds interest to her card and nicely highlights her stamped image. How sweet is this holiday design created by Ashlee? We love the brick background with the die cut Christmas tree layered over the top. Her amazing coloring brings her adorable images to life and completes her holiday scene. 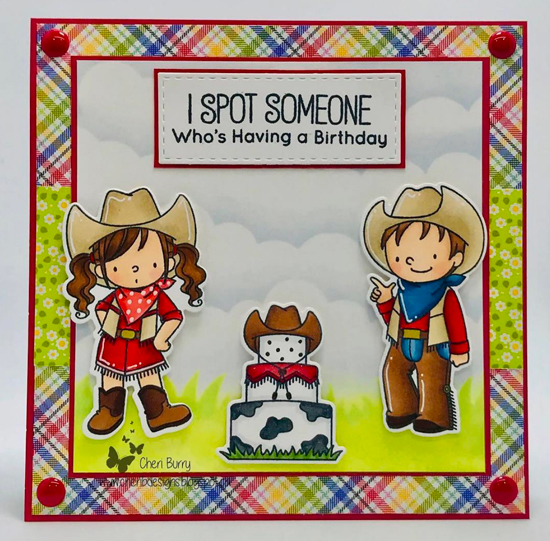 A fantastic western birthday-themed card created by Cheri, complete with a cowgirl and boy and a delightful layered cake. We love the highlights she added to her colored images - they add great interest and really make them look more realistic and dimensional. Ardyth created a colorful card featuring images from the new Snow Special stamp set peeking out of her window openings. 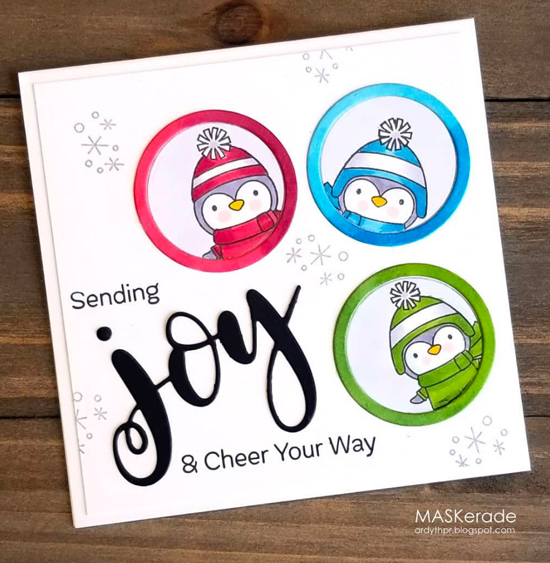 The stamped and die cut sentiment works great with the card layout and adds a fun and festive greeting to her design. What a wonderful creations ! 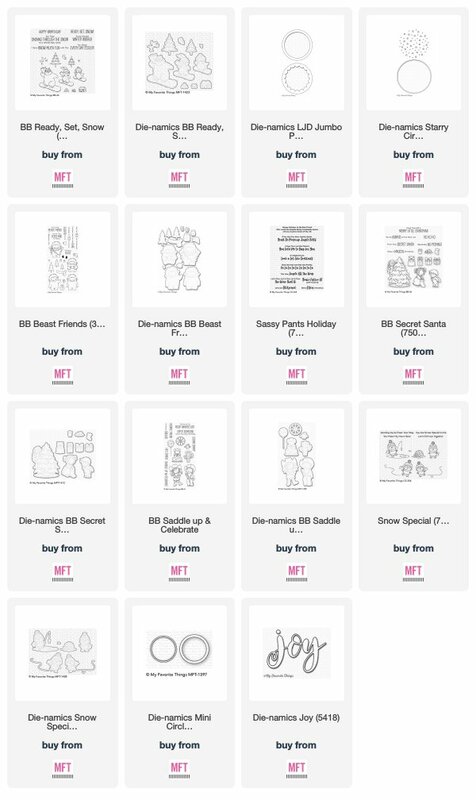 Congratulations all ! I have a heart stroke to the card of Ashlee !